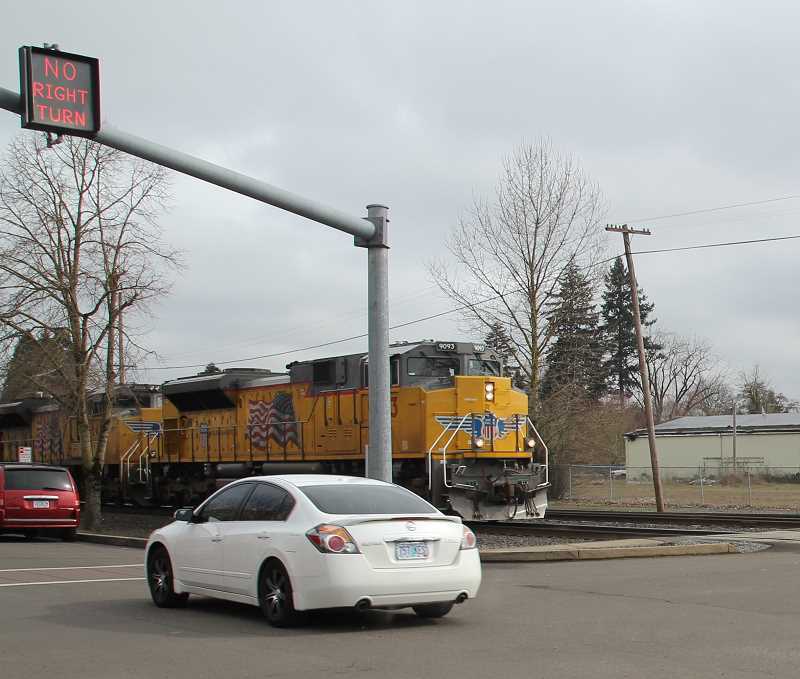 Could Woodburn ever become a railroad "quiet zone?" A quiet zone is a corridor where passing trains do not sound their horns, save in emergency or perilous situations. After years and planning and working toward the goal, a part of Salem from near downtown into north Salem achieved quiet-zone status. But it came at a price, as so it would in Woodburn as well. "For Woodburn we are particularly impacted differently than in Salem and Canby, primarily because of the location of the railroad through town. We have a busy commercial street surrounded by schools and residential neighborhoods," Woodburn City Administrator Scott Derickson advised the city council. Derickson created an updated informational report on what would be required to achieve quiet-zone status. Chief among the process are infrastructural improvements aimed at safety, including fortified crossing guards and other warning devices. Street crossings are tricky; throw in schools, neighborhoods and a parallel downtown street and it becomes more so. "This effort would be comparable to an interchange kind of a project. If we wanted to pursue it, it would take a long time and it would require $6 million. Pretty difficult process to achieve that." The report noted that 35 trains pass through Woodburn daily. Click here to read the rest of the story in the Woodburn Independent.